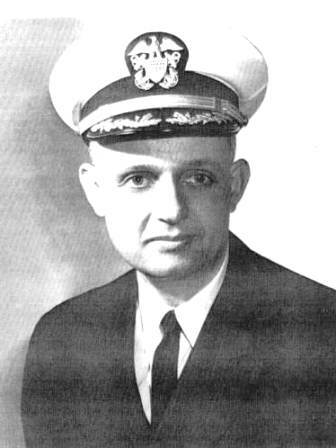 Captain W. James THEARLE, USN, was commissioned Ensign in June, 1955 at the U.S. Naval Academy. A native of Oakland, California he was assigned engineering duty in destroyers until 1958. He was then ordered to the Staff, Commander Destroyer Flotilla Two, Newport, Rhode Island as Aide and Flag Lieutenant with additional duty as Aide and Flag Lieutenant to Commander Task Force 88 who directed the U.S. Navy's first nuclear warhead tests at sea. In 1960, Commander THEARLE was ordered as Aide and Flag Lieutenant to Commander Destroyer Force, U.S. Atlantic Fleet, Newport. From 1961to 1963, he served as Engineer Officer of the USS CHARLES R. WARE (DD-865) and subsequently was assigned to the U.S. Naval Academy as a Company Officer until 1965. Commander THEARLE was Operations Officer aboard the USS R.K. TURNER (DLG-20) followed by a tour as Executive Officer of the USS WADDELL (DDG-24) from 1966 to 1968. He next completed a year of study at the Naval War College. From 1969 to 1971, Commander THEARLE was assigned to the Bureau of Naval Personnel. He assumed command of USS BUCHANAN (DDG-14) on 9 July 1971.